This series would be educating voters on what they need to know regarding the upcoming election, especially on issues related to voting as well as stakeholders in the elections. 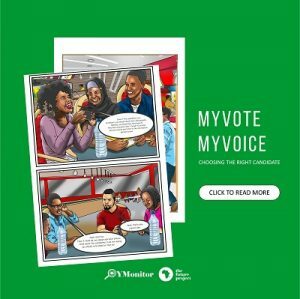 The voter education series would be hinged on the 2019 election guidelines, a 33-page document recently released by INEC that outlined the various rules and regulations that would guide the conduct of the 2019 general elections. Understanding the various guidelines related to the 2019 elections will determine if you will be allowed, so follow us in this series. For today, we would be starting with voter eligibility and how to vote. IV. If you present a valid Permanent Voter’s Card (PVC) at your polling Unit. IV. Your name will be ticked and an indelible ink applied to the appropriate finger. V. The Presiding Officer (PO) will stamp and sign the date at the back of the Ballot Paper (BP), roll the paper with the printed side inwards and direct you to the voting cubicle where you vote in secret. VI. Using your appropriate finger which will be stained with the provided ink, you will mark the space/box provided on the BP for your preferred candidate/party and roll the marked BP in the manner it was given to you. VII. Leave the voting cubicle and drop the Ballot Paper in the Ballot Box where everyone can see. N.B: You will not be accredited if your name isn’t found on the register. Next week, we will discuss where you can vote and what happens after you vote.